Family Room (Type 5) in the farm Agriturismo Zertin. 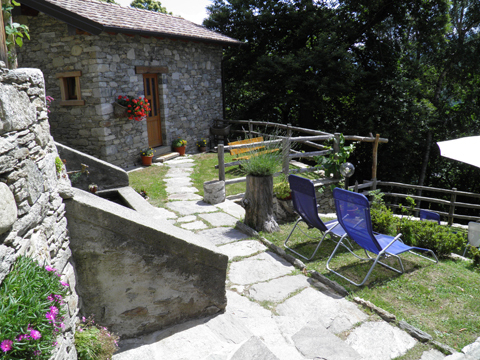 The farm is in a spectacular panoramic location in the middle of the chestnut forest at about 800 meters above Peglio, an ideal location for hikers and mountain bikers. The agriturismo farm hotel Zertin is a wonderful place to stay. The rustic farmhouse is situated in a beautiful sunny panoramic location amid the chestnut forest above the village Peglio. 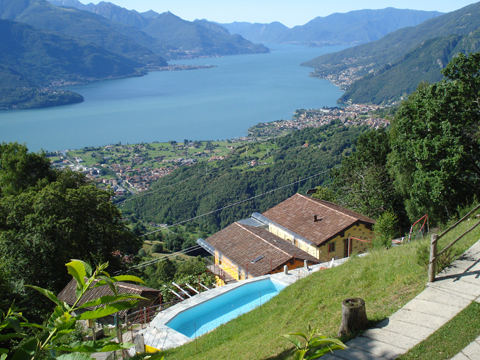 Amidst beautiful scenery and tranquility you can enjoy a fabulously beautiful panoramic view over Lake Como. The surrounding mountains and chestnut forests are ideal for hiking, walking and mountain biking. In the autumn you can pick mushrooms. At the nearby mountain Sasso Pelo it is possible to go climbing. 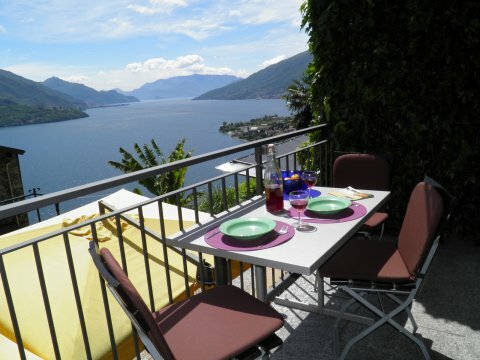 The farm has a small but fine restaurant with an outside dining terrace, from where you enjoy the breathtaking view of the lake whilst partaking in the house specialties of Signora Helga. The sympathetic farmer's wife is an absoltute top chef, her cooking is based on the seasons and traditional typical local specialties, as in grandmothers time. Relax and enjoy the Dolce Vita in a pure healthy rural environment. The Farmhouse Hotel Zertin has 5 comfortable rooms of different sizes (double bedroom, family room, double occupancy) for 2 to 5 people. 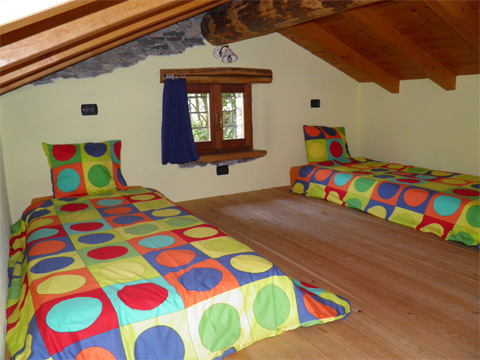 The accommodation is very tastefully decorated and has larch wood furniture. 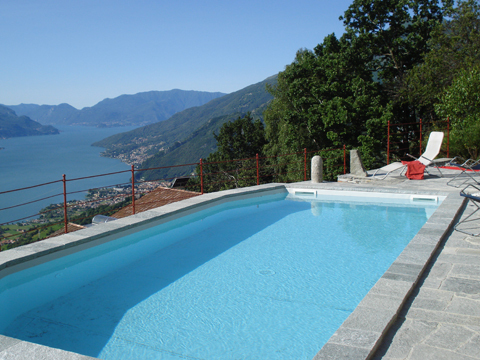 All rooms have central heating and a balcony or patio with a beautiful panoramic view of Lake Como and the mountains. 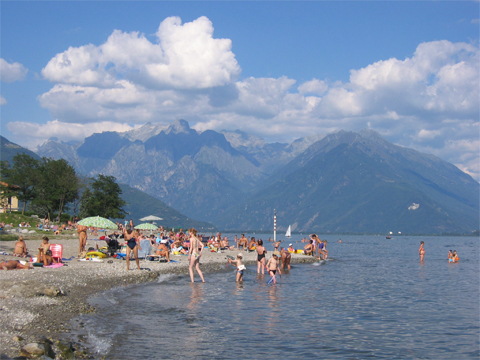 If you feel the need to go to the lake, you can be in Gravedona in about 10 minutes where you will find beautiful beaches, sailing, surfing or water skiing or just stroll along the promenade or arround the shops. Type 5 - Family room: King size bed and sleeping loft with 3 single beds, satellite TV, central heating with garden seating. 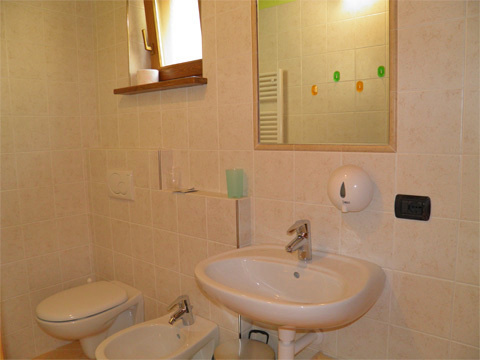 The bathroom has a shower, wash basin, toilet and bidet. Catering service : breakfast, half board or full board can be selected. Spoil yourself whilst partaking in the ingredients from their own organic farm. 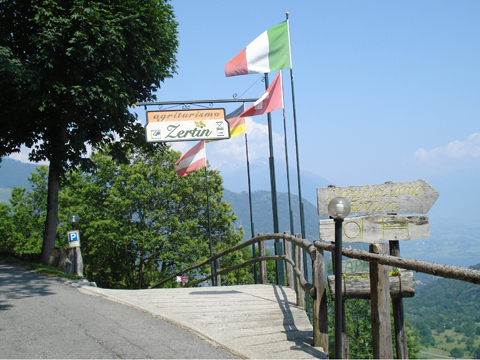 Video Watch a nice video from Agriturismo Hotel Zertin Typ 5 in Peglio? 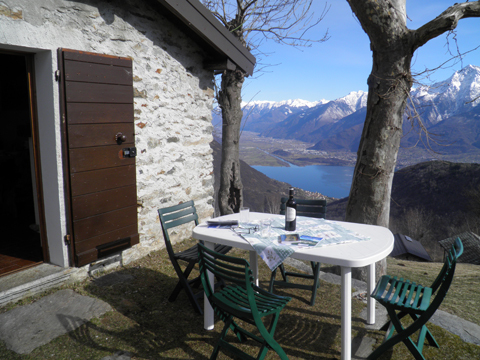 This holiday apartment is offered on behalf of the owner of Agriturismo Zertin Typ 5 in Peglio, partner since 2011. You pay your rent safely to Holiway GmbH and we regulate the payment with the landlord. When booking, you can choose between convenient payment methods. 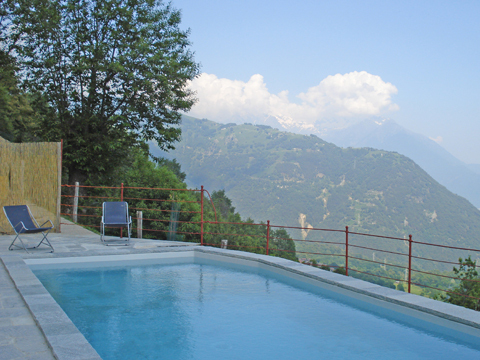 Watch a nice video from Agriturismo Hotel Zertin Typ 5 in Peglio?